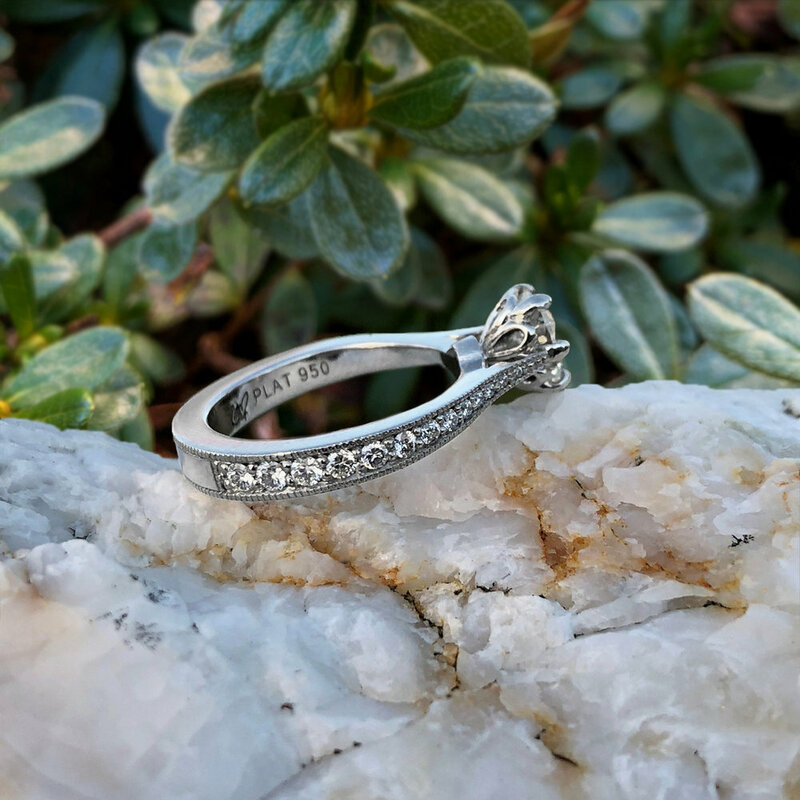 Annie's ring features a brilliant 0.7 carat diamond that is set in floral-inspired, six-claw prong setting. The band is tapered - thin at the top, and wider at the bottom. 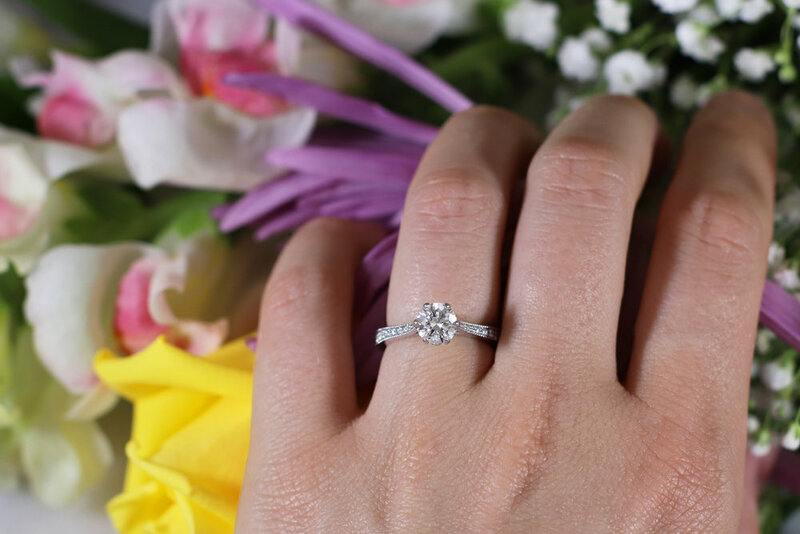 The diamonds in the single row pavé setting range from 0.7mm - 1.7mm and are bordered by timeless milgrain accents. This ring was hand-carved in wax and cast in platinum.